Lockheed Martin engineers Cheryl Limas and Andrew Belis visit John Murphy’s classroom at New Vista Middle School to show kids how exciting it is to be an engineer. 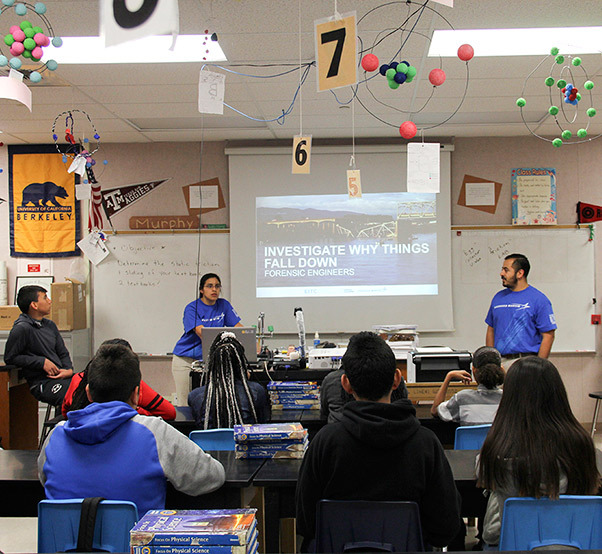 Lockheed Martin engineers recently visited classrooms at New Vista Middle School and throughout the Antelope Valley to show kids just how exciting it is to be an engineer. Signing a $6 million agreement with Project Lead the Way to expand STEM education in select urban school districts throughout the United States, Lockheed Martin partnered with the National Geographic Society to refresh its “Engineers in the Classroom” program. Students in John Murphy’s 8th grade physical science class in Lancaster, got hands on experience of how to make wind turbines using corks, tooth picks, Manila paper and tape. “The chairs you are sitting in, someone had to design them. 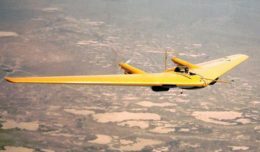 Everything that is made, someone had to think about it first; they needed it and then they built it — or had someone build it,” said Cheryl Limas, a Lockheed Martin mechanical engineer. As a very little girl, she enjoyed helping her father work on cars. After viewing a fast-paced video depicting the different types of engineering, students were eager to begin their new task. After designing and fastening wings to a cork, students hooked their creation up to a voltage meter and held it in front of a fan to determine who could build the fastest windmill. 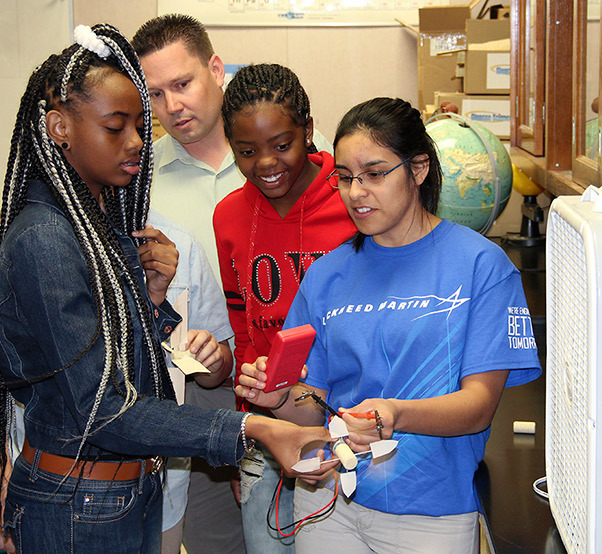 “I guess bigger is not better,” huffed Aaryn Bell, 13, as she quickly returned to her desk to redesign new fins. “I think it is the way you bend your blades to catch the wind that makes the difference.” Bell, was proud to say she is taking STEM courses and will someday become some type of an engineer. “It’s about optimization and learning from your failures in design,” explained Kevin Deal, an engineer supporting the F-35 program at Edwards Air Force Base, as he helped kids with their projects. Murphy wished he could have professional engineers come into the classroom throughout the year to show real life application of what was taught. In 1892 a Danish inventor constructed the first wind turbine from a Dutch windmill. A single wind turbine can produce enough electricity for 150 to 400 homes. Previously, students studied “Motion and Forces.” In 1877 Ernst Mac from Austria used bullets to record the speed of sound and Mach 1 became an international reference — another subject quite familiar to test pilots at Edwards, Plant 42 and those living in the area.